John Boyega (Star Wars: The Last Jedi) stars as the rebellious Jake Pentecost, a once-promising Jaeger pilot who has since been caught up in a criminal underworld. But when a massive threat is unleashed on the world, he’s given the chance to live up to his potential with the help of an unlikely group of heroes. As they seek justice for the fallen, their only hope is to unite together in a global uprising against the forces of extinction. To celebrate the release of the film, artists, designers and illustrators from around the world are invited to join the uprising by creating one-of-a-kind static artwork for Pacific Rim Uprising. Artists should watch the trailer below and check out the film’s Facebook and Instagram pages. Feel free to take inspiration from the characters, the plot, the location, and anything else you feel represents this film! Artists may submit static artwork (posters, paintings, illustrations, etc.) for this opportunity. Please no photography or video. Up to five pieces of art will be selected by Universal Pictures and Legendary Entertainment. The Selected Artists will receive $2,000 for each piece chosen and potentially have their work used in the Pacific Rim Uprising marketing campaign. Pacific Rim has always enjoyed a creative relationship with the fan community. The diversity of art inspired by this vibrant world of monsters and mechs continues to inspire the filmmakers that are building the future of this universe, and as a thank-you, Legendary and Universal want to invite the broader artistic community following the film’s marketing campaign to be a part of it. Artists may submit static artwork (posters, paintings, illustrations, etc.) for this opportunity. Please no photography or video. Artists may include the title treatment logo in their artwork. Artists should use the approved stills and one sheet poster as a point of reference only. 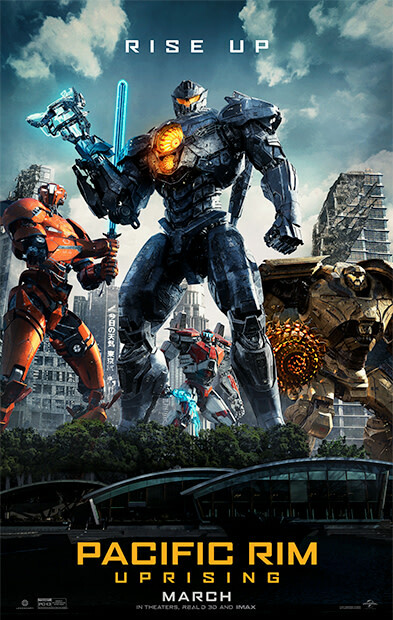 In March 2018, John Boyega (Star Wars: The Force Awakens) leads the cast of Pacific Rim Uprising, the follow-up to 2013’s cinematic epic of monsters and mechs, inspiring a new generation to become the biggest heroes to ever walk the earth. The 3D epic adventure will be produced by returning Pacific Rim producers Thomas Tull, Guillermo del Toro and Mary Parent. Boyega joins the production team alongside Femi Oguns. This opportunity is open globally to those who are at least 18 years of age and the age of majority in their jurisdiction of primary residence at the time of entry. Void where prohibited by law. Please note, that during the Submission Period, submissions may be featured on Pacific Rim Uprising's social media channels with credit given to the artist. Artists should retain their original artwork files but designs must be submitted in JPEG or PNG, max size 10MB. Artists may depict the likeness of the characters of Pacific Rim Uprising and may include Pacific Rim Uprising title treatment logo in their artwork. All rights in and to the characters and title treatment logo are reserved by Universal Pictures and Legendary Entertainment. The Selected Artists will be required to assign the copyright to their work to Universal Pictures and Legendary Entertainment in exchange for the incentives set forth above. The Selected Artists will have to sign a Copyright Assignment Form. Artists not selected retain ownership in their work. There is no assignment of any intellectual property rights in your work to Universal Pictures and Legendary Entertainment. 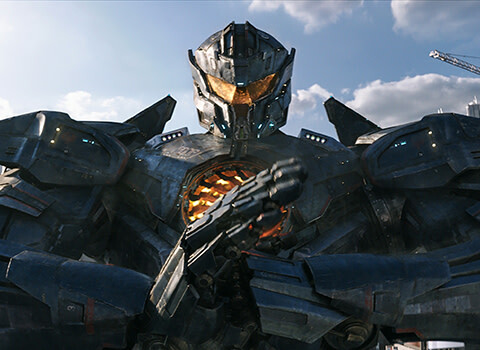 However, by submitting you hereby grant to Universal Pictures and Legendary Entertainment a worldwide, royalty-free license for one year to use your submitted work across their various marketing platforms in association with the film Pacific Rim Uprising. If used, all non-selected artists will be credited accordingly. Please note that submissions can be used by the artist for personal, non-commercial and portfolio use only. Universal Pictures and Legendary Entertainment will select from all qualified submissions. A qualified submission is one which meets all the Terms & Conditions, Guidelines and Official Rules.